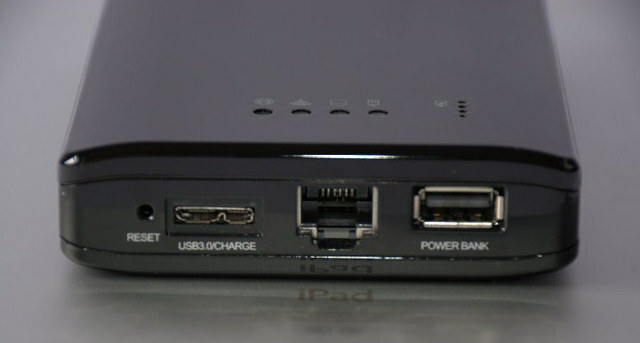 I featured an HDD enclosure with WiFi and Ethernet on CNX Software a few months ago, and several people were interested, bought one, and found out it was running OpenWRT, and easily to adapt to your needs, although some people complains it was not able to connect as a client. There’s now a new model, looking similar, by powered by Mediatek MT7620N and supporting 300 Mbps WiFi. File systems – FAT32, NTFS, EXT64 (Sic.). The operating systems is called “Ki Smart Router System”, but it’s likely to be based on OpenWRT, like the previous model from Kimax. The enclosure supports SAMBA, FTP, and “KI intelligent storage server” to share data over the network, and can be configured & managed via its web interface. This new “mini NAS” can be found on Aliexpress for $39.90. Kimax does not seem to have a website, or maybe it’s just a brand used by retailers, but I could find another manufacturer or reseller called “Shenzhen Dowdon Tech” selling a similar device based on MT7620n on Alibaba. Thanks to Roel for the tip. I translated it with google translate and it seems it runs openwrt. There is also a link to a openwrt firmware, but I don’t know if You can trust this. If this should give full openwrt then it would be really nice. Do you think you can run all openwrt firmeware based on mt7620n-wr8305rt on this device or could the mingyue mean something? but I cant determin wifi password!!!?? Any issue to there problems ?? But to be honest, I should wait until somebody starts to hack this wifi-hdd. Can I return to the original firmware ? where can I download it ? Roel is there an manual in Eng. If buyed someone and its working as a router/repeater but I can’t make a folder or copy some files to the HDD. Chinees I can’t read it and translate is grab. mabey some other people can help me. I have done all work to setup OpenWRT on this device. Find serial (tx ,rx) pins and got access. I made patch for kimax u-25awf for Chaos Calmer. I am gonna upload all information to OpenWRT community website soon. Great! Feel free to post a link to the Wiki here once it’s done. Thanks a lot Kh_Shad, i just wanted to start with it during the christmas holidays, finally some time to play. Will You post the link to the openwrt page? Hello for the firmware 1.0.3, the wifi password is : http://www.myop.ml and the root password is : root. Next week i will upload all information to OpenWRT site. I uploaded some information to OpenWRT, but it is not all. I will upload information step by step. Thanks @Kh_Shad for the patch and document for it. I compiled Chaos Calmer Openwrt from your patch and having more build-in module like usb serial to support 3g modem and android USB network sharing, file system module and tools for internal hard drive, Samba and HD-Idle to auto spin-down HDD when not use. I am very glad that my work is useful for you. Back to the serial console to unbrick… Hopefully a firstboot is enough to get it goiing. @Roel, I using BS-U25AWF, quite not sure any difference make it bricked. I uploaded newest image, build config (.config file), dmesg and fdisk info to https://drive.google.com/open?id=0B-HTwNTcXOYUTnJiaG5zdERZWUk. At first boot only LAN port is working, the WIFI is disabled by default, please plug device to PC login to 192.168.1.1 setup and enable wifi interface. It will be a bad flash then. I did it on a BS-U25AWF. But maybe the download was corrupted. It does something, the wireless red led is flashing, so it should be unbrickable. According me I get a failsafe also, but I don’t have a linux pc around here to check. @Roel Did you check the checksum ? If you can install wireshark, have direct LAN connection to that box and wifi to connection internet I can checkout with you over teamviewer. Did you disassemble your device, was your electronic board look like my (OpenWRT topic photos)? Yesterday I did try to get in failsafe, I got a failsafe signal and press on the reset button, but I don’t get a ethernet connection. I tried telnet, ssh, tftp but nothing works as I don’t have an ethernet connection. But there is something happening as the red led is constantly flashing. This evening I will open the device and connect the serial, if I find something worth mentioning I post it on the openwrt topic. I checked my board. It’s a HSEN-300M-HDD-V1.0. It’s a little different of the one from Kh_Shad. It has no external wifi antenna’s, it doesn’t have the heatsink and it doesn’t have the serial points. So I have to search them on another spot. It is also a mt7620n though. I’ve the same model : It has no external wifi antenna’s, it doesn’t have the heatsink. I did the flash with my windows PC, I should have known better because it’s not the first time it deliers me a corrupted download. I had to ask the checksum first before flashing, stupid. My has HSEN-KI-300M-HDD-V3.0 revision. Maybe some pins have difference in board scheme. Could you try use Serial port to get boot log at firmware start. Send it to me and i will try to help you. @PRT Could you try edit /etc/config/fstab file directly like this. I found the tx and had some output to the terminal. When trying to solder I destroyed the solder point as it was so tiny. The output on the terminal looked like a normal kernel boot except that it finished at a prompt [email protected](none). So I think it is a failsafe prompt? @roel could you put boot output here, does it have network capacity?? If serial connection accept input, grab live linux distro and sysupgrade file to your USB and start recovery process. The problem is that I ruined the soldering point, so now chance to resolder it again. Maybe I can solder it straight to the soc as the pins are exposed. Seems like it are pins 37 & 113. Once a get a decent serial connection i can reflash it again. No problem, I’m a regular linux user (running arch on my main PC). 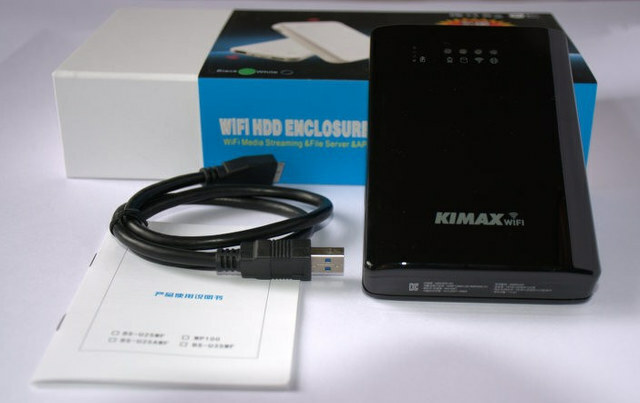 i have one of these wifi drives, but to be clear it is a Kimax U-25AWF. I have never used openwrt in my life. so this is all new to me. please can somebody help me set this thing up so i can get the internal SATA working as well as if i want to plug in a USB drive it will work as well. currently i have OpenWrt Chaos Calmer 15.05 / LuCI (git-15.349.82008-7ad426e) on it at the moment.